St Anne’s College, Oxford, 21-23 June 2018. Jonathan gave the paper “Quels sons mélodieux!” – approaches to preparing the vocal music in the operas of Jean-Philippe Rameau. St Hilda’s College, Oxford, 12 October 2017. Jonathan and performers involved with ETO’s production of Dardanus worked with young singers from the University. 21 April 2016. Jonathan explored some of Rameau’s performance practices with the RAM’s talented HIP students. 8 January 2016. Jonathan worked with the OAE Experience orchestra on extracts from Rameau’s Les fêtes de Polymnie. 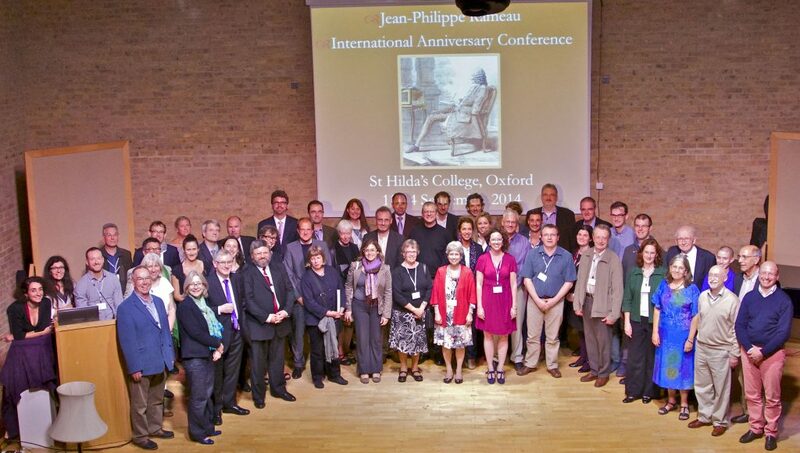 St Hilda’s College, Oxford, 11–14 September 2014. To mark the 250th anniversary of Rameau’s death on 12 September 1764, the Rameau Project organised the Rameau International Anniversary Conference, the UK’s first major symposium on Rameau. Almost a hundred modern-day Ramistes attended the four-day event to hear forty pre-eminent figures in French Enlightenment research sharing the very latest research undertaken on Rameau’s life and work. Delegates from around the world included Sylvie Bouissou, David Charlton, Thomas Christensen, Charles Dill, Benoît Dratwicki, Thierry Favier, Elizabeth Giuliani, Thomas Green, Rebecca Harris-Warrick, Davitt Moroney, Lois Rosow, Graham Sadler, Roger Savage, Herbert Schneider and Rémy-Michel Trotier. The full conference programme with abstracts can be downloaded here. Selected papers are currently being prepared for publication by Routledge in 2018. The Rameau International Anniversary Conference was made possible through the generous support of the University of Oxford’s John Fell Fund, St Hilda’s College, the Maison Française d’Oxford, the Birmingham Conservatoire French Music Research Hub and Patrick Florentin. The Classics Faculty, University of Oxford, 9 November 2012. Hosted by Fiona Macintosh and the Archive of Performances of Greek and Roman Drama, Oxford, this exploration of the Rameau/Cahusac acte-de-ballet Anacréon of 1754 was held to coincide with the first complete performance of Anacréon in modern times. Papers were given by Felix Budelmann, Graham Sadler, Roger Savage, Roger Scruton, Peter Smith and Jennifer Thorp.